1. 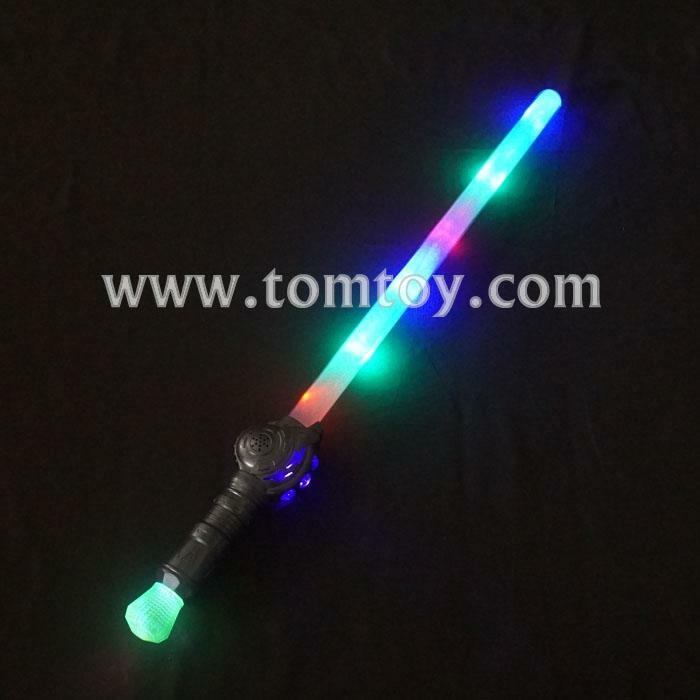 1pc Red and Blue double flash in the Handle,and 1 green LED in the ball. 2. 2 red 2 green 2 blue LEDs in the blade. 3. With a click of the on switch,the sword is activated and make a sound. 4. Inhibitor included – won’t activate during shipping. 5. Uses 3 AA batteries, included and are replaceable.